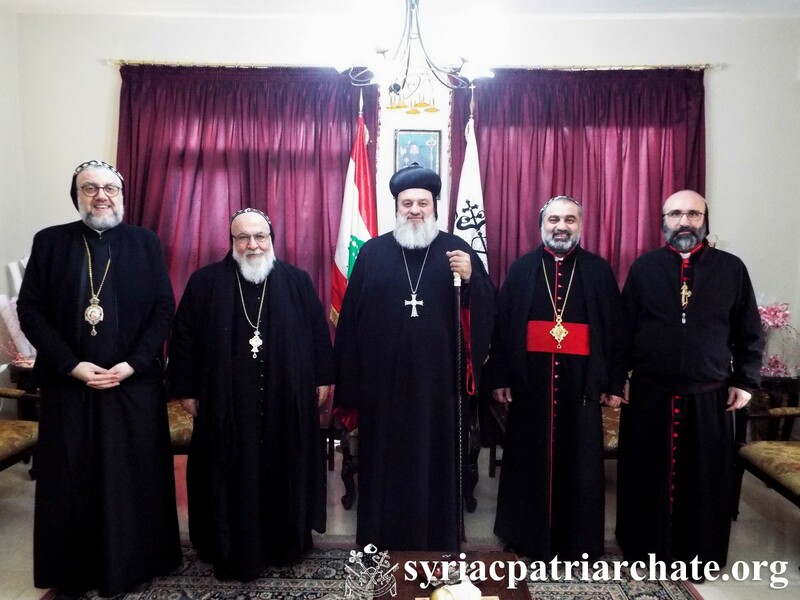 His Holiness Patriarch Mor Ignatius Aphrem II presided over the meeting of the Syriac Orthodox Archbishops of Lebanon, at the Patriarchal Residence in Atchaneh, Bikfaya – Lebanon. Mor Clemis Daniel Kourieh, Metropolitan of Beirut, and Mor Chrysostomos Mikhael Chamoun, Patriarchal Vicar and Director of the Patriarchal Benevolent Institutions in Atchaneh participated in the meeting. His Holiness opened the meeting with a prayer and then he discussed with their Eminences the different issues related to our Church in Lebanon. They also worked on the bylaws of the Council of Syriac Orthodox Archbishops of Lebanon, which is to be finalized in the coming meeting. Very Rev. Fr. Elias Gerges, and Very Rev. Raban Joseph Bali, Patriarchal Secretary and Media Office Director, also attended the meeting.